We carry out class 4,5 and 7 tests at the best prices locally. We have the most up to date diagnostics equipment to offer full diagnostics for all makes and models. We can carry out all servicing on all makes of cars and commercials from a oil and filter change to a full service we can guarantee all parts and work done to manufactures specification and a price that will make you happy. We can supply and fit all makes and sizes of tyres at very competitive prices! We can also fit tyres you suppy and also we carry out puncture repairs. We can supply free courtesy car subject to availability. We can recover your vehicle or arrange transport to you chosen destination just call for a quote. Just let us pick up and deliver back your vehicle free of charge. We can carry out full Air Con servicing and leak finding with our top of the range snap machines. 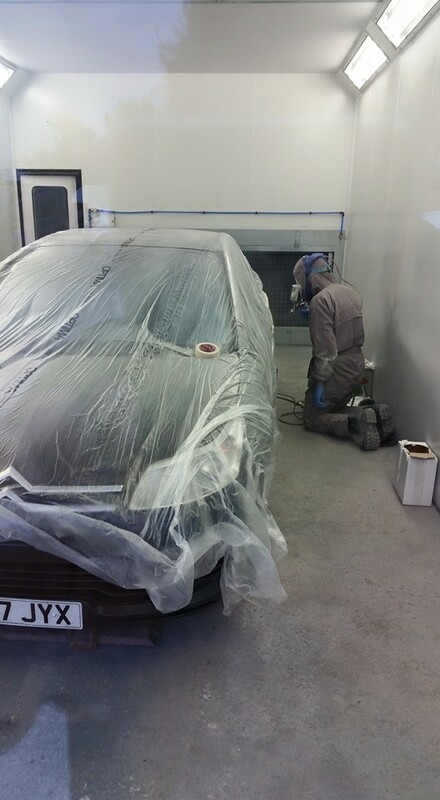 We can carry out all repairs from a scratch to a full respray at the highest standards at are brand new body shop let us quote you on all your bodywork needs!